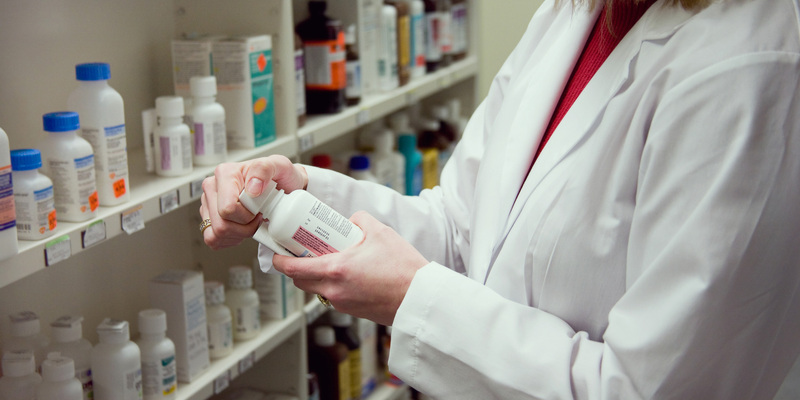 Study shows prescription copay caps can be enforced with little effect on premiums. Capping out-of-pocket prescription costs to protect the chronically ill from discriminatory cost-sharing practices would have little effect on total costs for the average American, according to a new study. Monthly caps of $100, $150 or $200 would increase premiums by less than 0.5 percent for most insurance plans in the analysis. 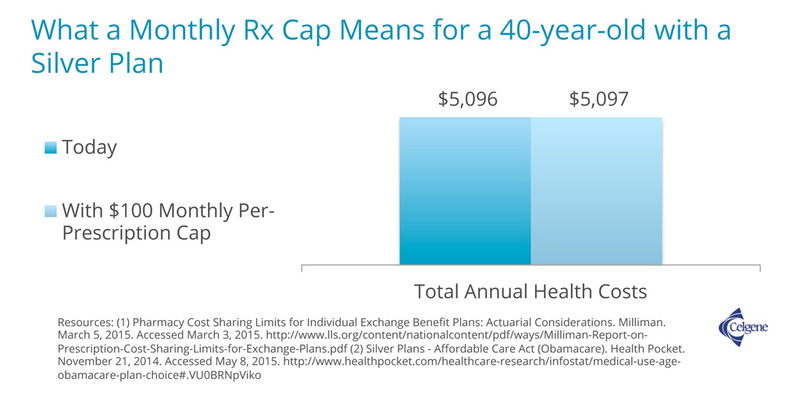 And the increased premiums would be almost completely offset by savings in copays and other cost-sharing practices. For instance, a $100 monthly per-prescription cap would increase annual premiums for the average 40-year old American with a silver plan (the most popular category on the marketplace) by $19, but reduce cost-sharing by $18, leaving an increase of just $1 per year. That dollar would have a significant impact on the lives of thousands of patients who need long-term specialty medications, for which many plans currently charge exorbitant copays. 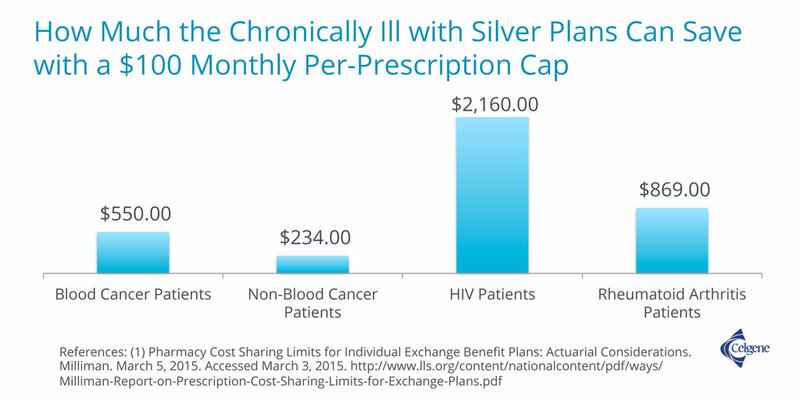 A $100 monthly cap, for example, means $550 in annual savings for blood cancer patients enrolled in silver plans, $234 for cancer patients, $2,160 for HIV patients and $869 for those with rheumatoid arthritis. Higher premium increases were predicted by a few scenarios in the study — those involving the less popular bronze plans or those that capped total annual prescription costs at $1,250. The authors suggest that these more significant increases could be offset by additional benefit changes, such as increasing doctor visit copays, deductibles or out-of-pocket maximums. Although the ACA provides flexibility for such benefit changes, insurers today don’t cap out-of-pocket costs for prescriptions because they would then preferentially attract the people most likely to use expensive specialty medications. Instead, insurers actively discourage sick patients from selecting their plans through high cost-sharing methods for medications used to treat serious and chronic diseases. That way, they can offer lower premiums that make them more competitive. But this practice puts many vulnerable people—the elderly and the chronically ill—at risk of not getting the necessary quality care.